The economic slowdown hasn’t slowed the Australian tourism industry, which witnessed an increase in spending in every travel segment, including outbound trips. Australians spent a record amount on domestic tourism in 2011-12, Tourism Research Australia’s State of the Industry 2012 shows.Total visitor expenditure hit $95 billion for the year, an increase of 8%, or $7 billion – the strongest growth since 2000-01.And it was Australians spending more in Australia that drove the growth, rebounding from recent lows. 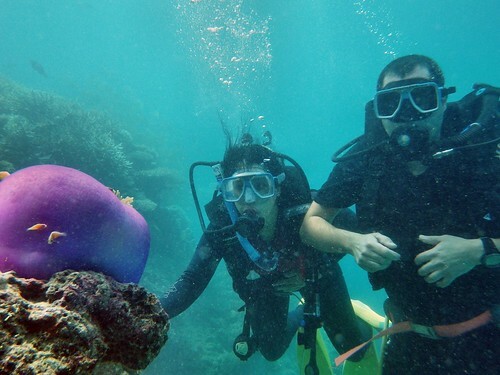 Australians from around the country travel to visit the Great Barrier Reef. Photo by Paul Toogood. The report card showed the tourism industry had improved on most indicators despite the lingering effects of the global financial crisis (particularly on the United States economy), Europe’s sovereign risk crisis and Australia’s high dollar. Looking ahead, the Tourism Forecasting Committee (TFC) forecasts tourism expenditure will increase by 2.1% in real terms to $97 billion in the current financial year, then by a further 2% to $99 billion in 2013-14.